Animated Screensaver with a haunted house and ghostly figures floating around it. Lightening strikes and flashes, while optional ghostly music plays. 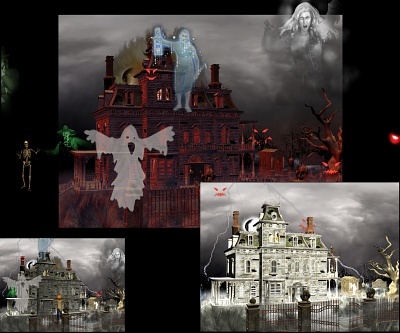 Download Haunted House Wallpaper! Images & Screensaver copyright, ART-TLC ©.